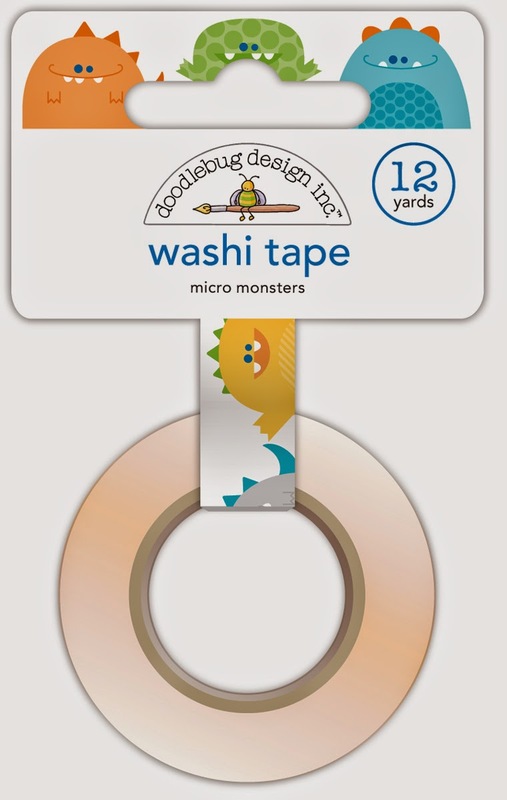 This year Doodlebug released 40 new Washi Tapes that you will be stuck on when you get your hands on them. In case you haven't seen them yet, here's some pictures to pin to your wish list pin board. Now when it comes to embellishing, we at Doodlebug strive to provide a touch of dazzle and delight to any craft project and with our latest release we introduced a handful of new ideas and expanded selections to our already impressive lineup. 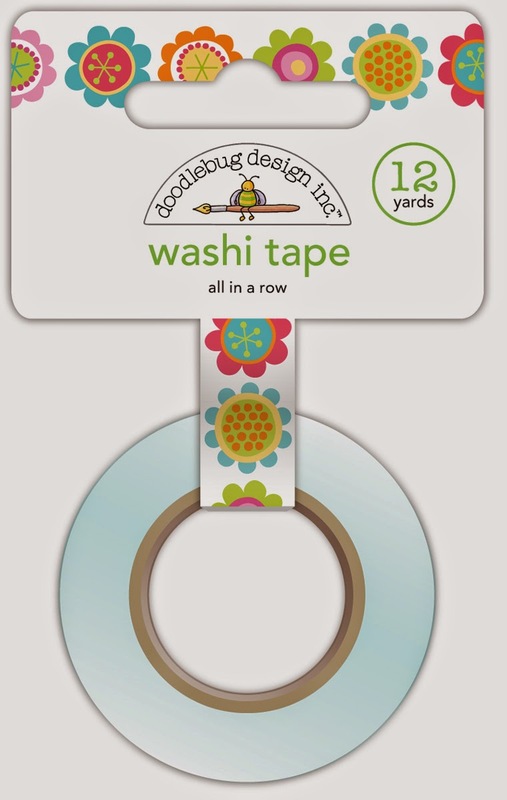 New to our assortment is the ever-popular Washi Tape in fabulous Doodlebug colors and trendy designs just waiting to stick together your next paper craft. 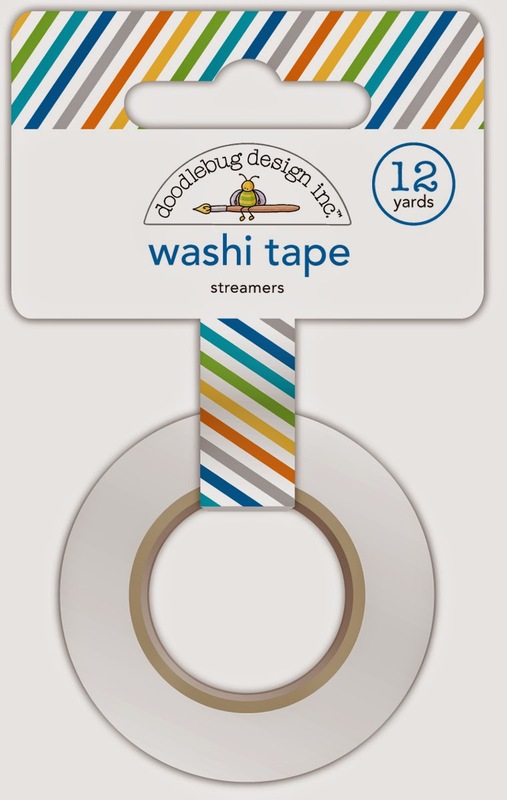 Among the 40 new Washi Tape designs, 29 of those are the new SKINNY WASHI tapes that are 8mm. The remaining 11 are standard washi tape size of 15mm. 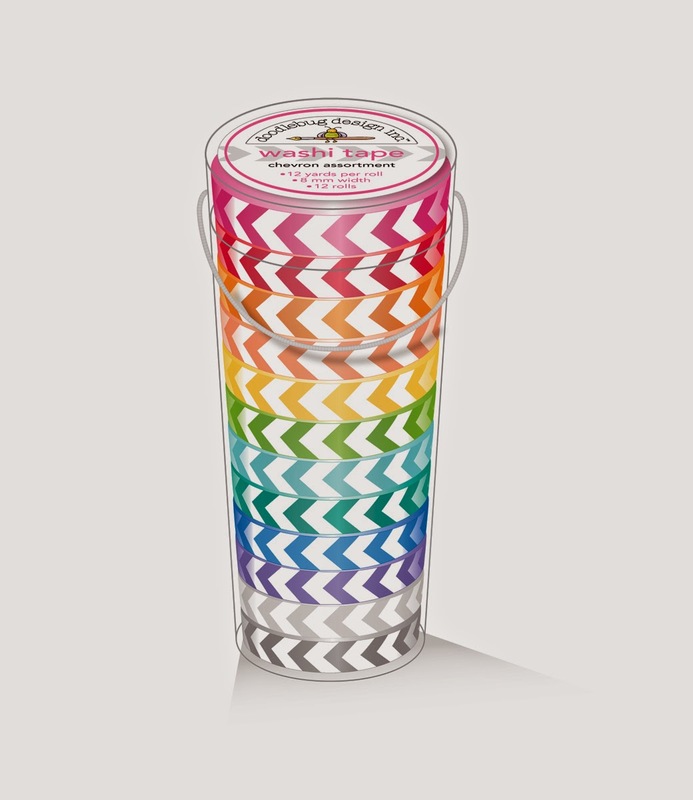 Now are you looking for ideas on how to use these fun Washi Tapes? Then check out our Pinterest Board for inspiration to create your own paper crafting projects. 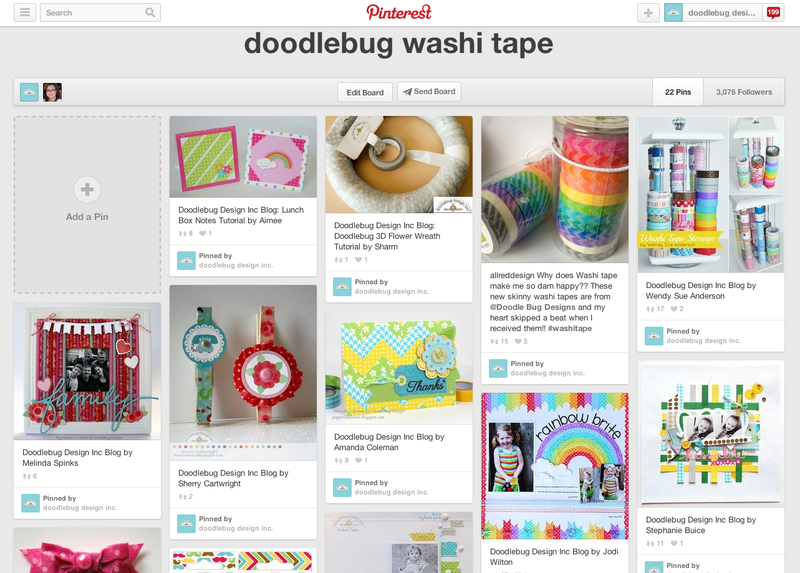 Click here to visit our Washi Tape Pinterest Board. Washi tape 和紙which originated in Japan as a masking tape made from washi paper. “Wa” meaning Japanese and “Shi” meaning paper, describe paper made by hand in a traditional manner. 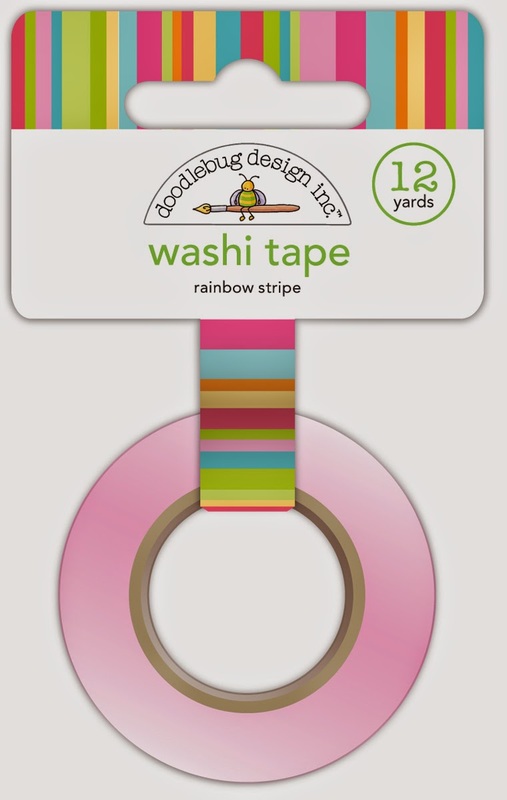 Japanese washi tape is most commonly made using bamboo, hemp, rice and wheat. This type of pressure sensitive tape made of a thin and easy to tear paper is often decorate with unique artwork. 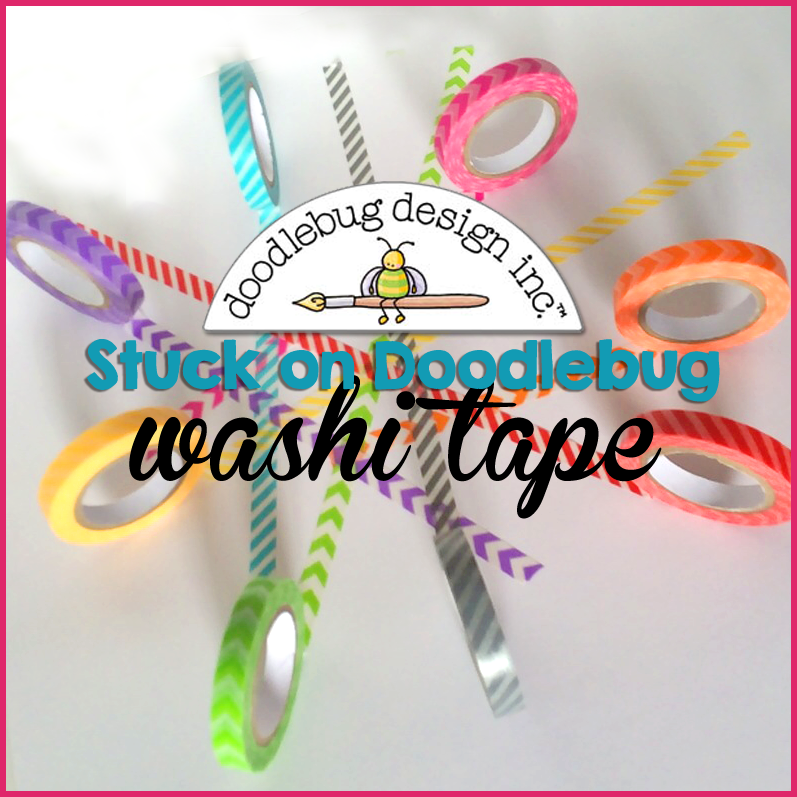 Washi tape is not a permanent tape when applied to various surfaces. 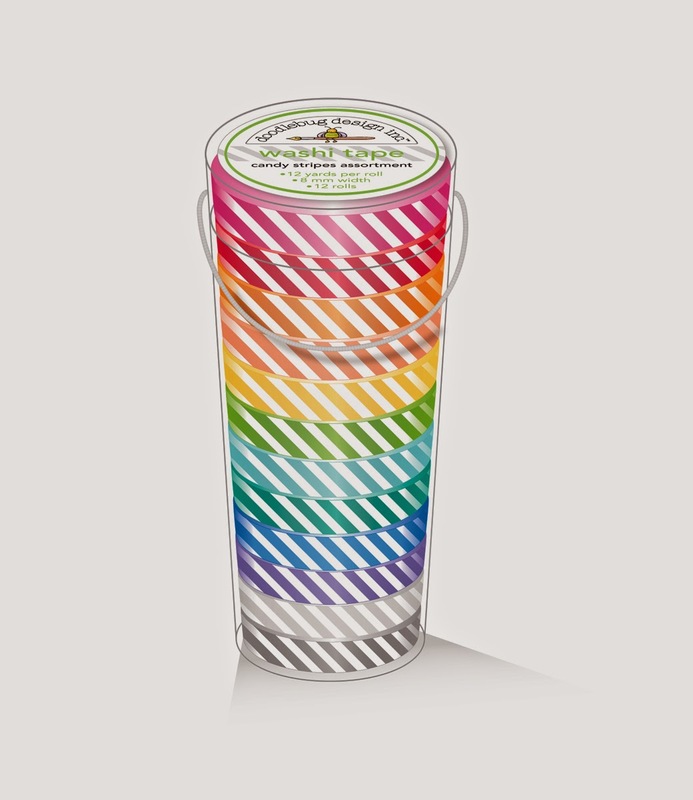 You can ruffle; crease and layer washi tape to create a variety of finished looks with this fun, versatile and colorful product. 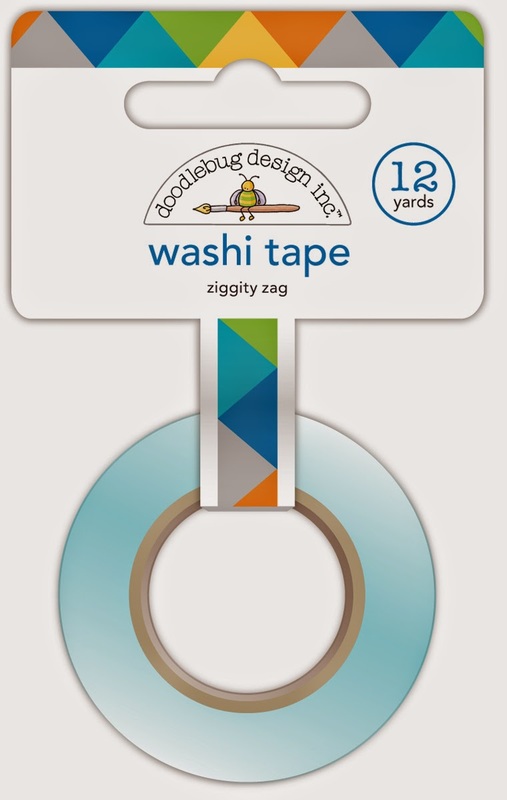 Unlike other decorative tapes, washi tape is reusable, biodegradable, tree free and made out of highly renewable resources. 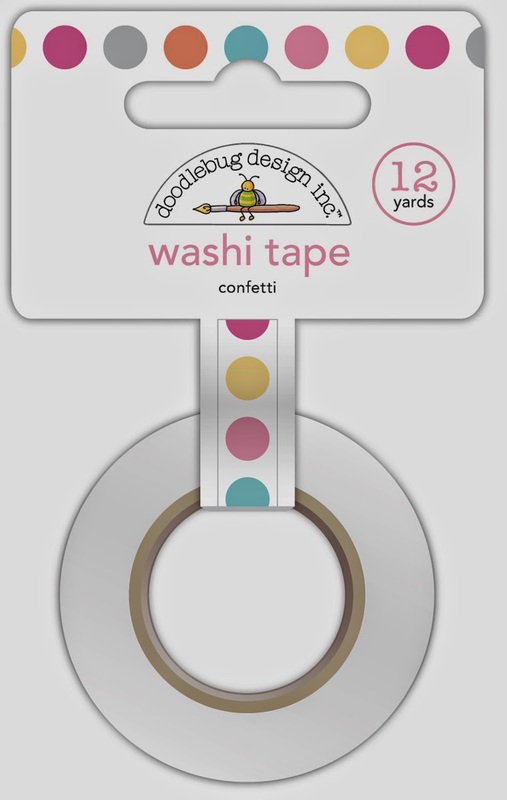 And in the case of Doodlebug, we created a selection in our colors and made sure that our Doodlebug Washi Tape coordinates perfectly with all Doodlebug products from past to present. If you know Doodlebug Design, then you know how important color is to us. We don’t want any product’s lifecycle to end when the collection is sold out and long gone so we have designed these to work with or without it’s coordinating family of product. We at Doodlebug Design take pride in our daily roles of inspiring creativity; and like you, enjoy the everyday occasions that inspire our own new ideas and projects. Our own Lori Allred featured the Doodlebug Washi Tapes on a recent episode of Inspired by Pinterest. In this video she offers up some fun ideas on how to store or display your Washi Tape Collection. Click Here to check out our previous blog post where we shared some fun storage ideas from our Design Team. Love all the washi tapes. The little monster one is just the best - Must have it!! very awesome!!! I love the ideas! I love washi tape! These colors are gorgeous! Loving the skinnier washi tape - it is so cool!!! Probably my favorite!!! Beautiful jarfuls. Good to see you looking so well Lori! Great ideas. I'm in washi tape heaven! I love using washi tape for many projects! All colors and sizes! Great for adding that extra pop to a card or scrapbooking page! Love the brights and the fun patterns. The little flowers are so sweet but the monsters are off the charts cute! I think I have to have them all! 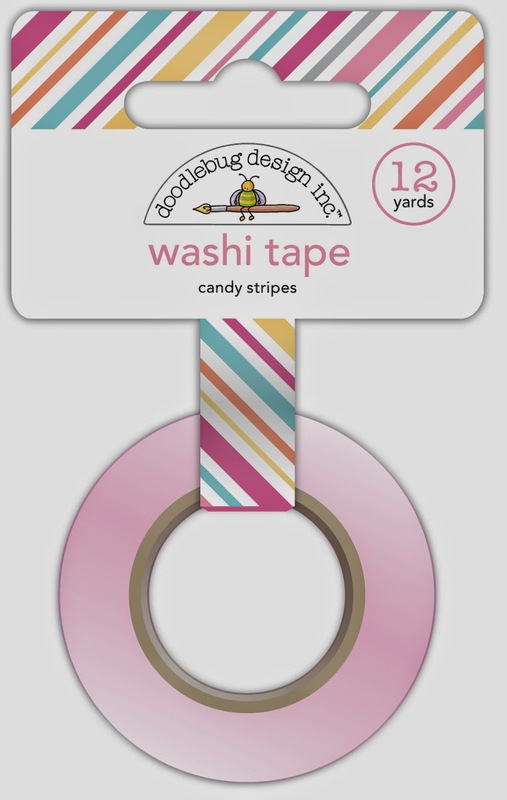 I would loose my mind if I won a box filled with your new washi tapes. Every where I've gone looking they are sold out. Your new skinny mini's are absolutely ADORABLE!!!!! Wow...awesome new collection of washi!!!! Lots of washi goodness! Great new designs! And yes, I am a washi addict too! Delightful patterns and colors! I want them alL!!! Love all of the designs...and I really NEED them!!! I want them all lol! I store mine in 2 large jars & 2 washi tape dispensers. I love the Doodlebug colors and ideas they have. I just started using Washi Tape and there are so many uses. I could use more for my collection. Love washi tape! Soooooo much you can use it for. Love Washi tape and can't wait to get some of the new designs! Love the skinny tape! LOVE the colours - LOVE the patterns - LOVE the sizes - LOVE THEM ALL!!! 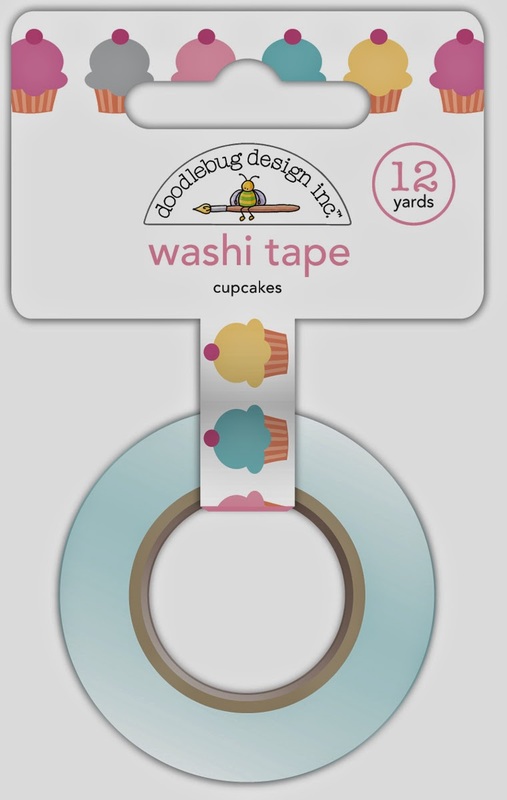 Oh my gosh, I really enjoyed the video on how to store washi tape! 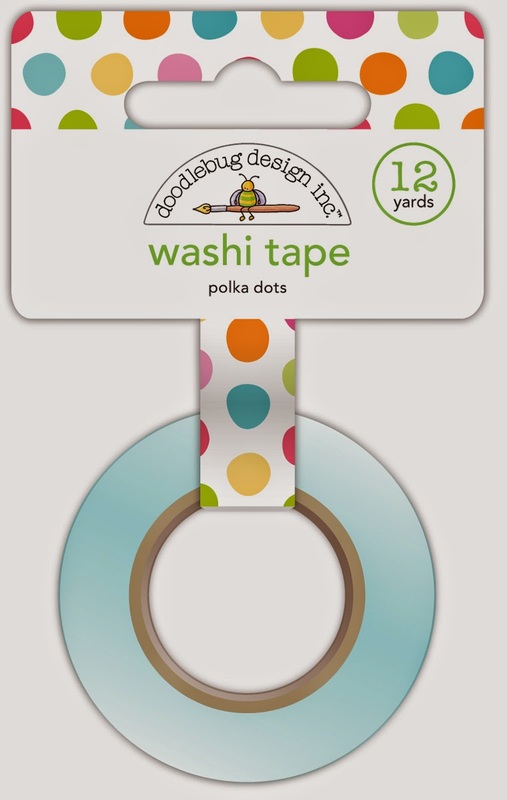 I have quite an assortment, but must admit, I love the Doodlebug bright assortment of polka dots and such, they just make you smile! I don't own the newest collection, but perhaps I might win some from this draw!! Just sayin'..... Love the washi tape displayed on the clear plastic, why couldn't that idea be transformed into a card!!!! Love the new skinny tape. I love to use it in between scored lined on the bottom of my cards. A fun accent. I love washi tape, for card making, practical uses and they just look good as part of my supplies on my craft desk. I don't have nearly enough washi tape! I just don't think you can never have enough!